The MR Foundation of Tennessee, Inc. Thanks for visiting The M.R. Foundation of Tennessee, Inc., a Knight’s of Columbus Sponsored Charity Foundation. The Board of Directors and Officers are appreciative of your inquiry into assisting persons with intellectual disabilities through 501(c)3 agencies in Tennessee and assist individuals, living in Tennessee, with intellectual disabilities and/or a student, attending a higher education facility in Tennessee, working toward a Master’s Degree in Special Education. With just a click you can tour our web pages and become informed of the services that our non-profit corporations perform for persons and 501(c)3 organizations providing services to persons with intellectual disabilities. The M.R. Foundation of Tennessee, Inc. goal is to foster, develop, and fund services through grants from our local Knights of Columbus Councils in the State of Tennessee. 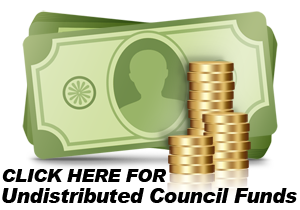 Grant Request policies, procedures and forms are contained in the navigation web pages and downloadable for council use. Funding for The M.R. Foundation of Tennessee, Inc. are provided by local Knights of Columbus Councils in the State of Tennessee through annual MR Drives from the general public. We thank you for your contributions and support. We welcome the opportunity to provide you with the highest quality of information and service. Please keep in mind that any donation, be it monetary material or labor will help us accomplish our mission of helping persons with intellectual disabilities . The MR Foundation of Tennessee, Inc. is a Knights of Columbus sponsored 501(c)(3) non-profit charity helping individuals with intellectual and developmental disabilities within the state. KC councils raise money through drives and activities for the Foundation to distribute to eligible organizations that serve people with intellectual and developmental disabilities. One half of all money raised is returned to these community organizations supported by the councils. The remaining funds are distributed through grants to projects within the state as requested by the councils. Copyright© 2019 M.R. Foundation of Tennessee, Inc. All rights reserved.